A pickup truck struck and killed a bicyclist on state Route 507 in Yelm on Sunday afternoon, according to the Washington State Patrol. The crash resulted in the death of the 19-year-old cyclist Martin E. Valencia of McKenna. He died at the scene. The driver of the truck was a 56-year-old Graham man, police said. He was not impaired and was not injured in the collision. 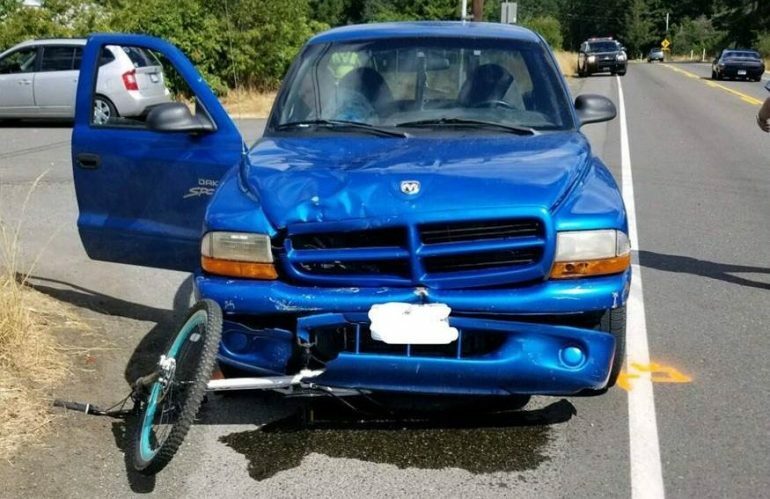 The WSP said the 1998 Dodge Dakota truck was traveling south when the man left his lane for an unknown reason and crashed into the southbound cyclist. Photos from the scene of the accident show the bicycle jammed under the truck. The driver of the truck was cited for negligent driving, driving with a suspended license and having no insurance. 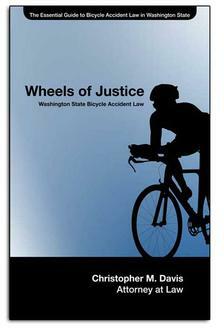 More often than not - and in the case above - a bike crash is the result of the negligence of the motor vehicle driver. A law-abiding cyclist has just as much right to the road as vehicles do, a fact that causes many motorists to act antagonistic toward cyclists. This dynamic on roadways makes for tense and sometimes dangerous situations, which puts cyclists at extreme risk. Unlike motor vehicles, bicycles don’t have reinforced frames to protect against collisions, and the safety precautions riders do take often aren’t enough in the event of a car wreck. Despite increased safety measures and driver awareness, cyclists continue to be involved in serious collisions with vehicles. In 2016, the Washington Traffic Safety Commission (WTSC) reported 1,436 car and bicycle accidents. Of those accidents, 1,188 resulted in injury. To go a step further, 135 resulted in a suspected serious injury and 19 were fatal. Under the right circumstances, a wrongful death claim could be filed against the at-fault driver’s insurance company. If the driver of the vehicle was acting negligently - driving carelessly, failing to lookout for the bicyclist, driving distracted, etc. - a wrongful death claim could provide compensation for the resulting funeral and burial expenses, as well as the family’s suffering. If you are unsure about your legal rights and options, it may be in your best interests to consult with an experienced bicycle accident attorney. In Washington State, the law allows only certain family members to recover damages for a wrongful death of a loved one. In most fatal accident cases, recovery is limited to the surviving spouse and children. In some cases, the surviving sibling or parents have a claim if they were financially dependent on the decedent at the time of death. In the case above - a 19-year-old cyclist killed by an uninsured motorist - filing a wrongful death claim would likely be difficult. If the at-fault driver does not have insurance, compensation could be recovered from the victim’s own uninsured/underinsured motorist coverage carrier. That coverage will extend to the person on the bicycle. An experienced personal injury attorney, particularly one with a strong track record defending bicycle accident victims, can look into the circumstances of an accident, find relevant laws, and help victims determine whether they have a viable case. Personal injury attorneys work on a contingency fee basis, meaning there is no up-front cost. If you or a loved one has been injured in a bicycle accident, you can get in touch with our legal team at any time by using our convenient chat feature, visiting our contact form, or calling (206) 727-4000.